Colostrum is now recognised as the single most important factor in determining the future health of young animals. Often the natural mother is unable to provide sufficient or a high enough quality colostrum to ensure her offspring gets that vital start. VetPlus Vetcol Six Plus provides either a viable alternative or a supplement to the mother’s colostrum in an easy ready to use form. Colostrum provides the new born calf with a rich energy source to allow them to maintain homeostasis and survive. It provides the calf with maternally derived antibodies that help fight off infections while the calf builds their own, stable immune system. 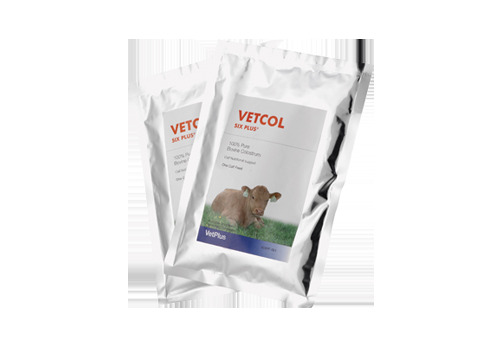 There are currently no questions for VetPlus Vetcol Six Plus Calf Colostrum - be the first to ask one!